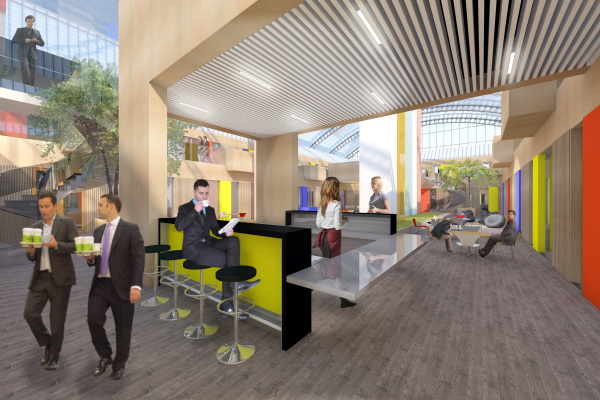 BHN were appointed by Walsall Council to undertake a feasibility study to explore the remodelling of the Walsall Civic Offices in the City Centre. 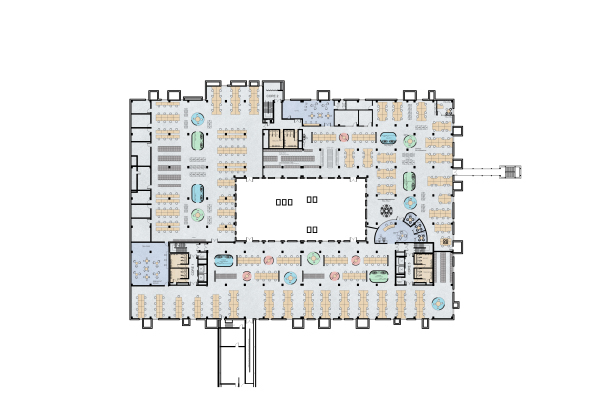 The study involved rationalising the existing office layout, providing an overall plan for future space utilisation along with a plan for phased implementation. 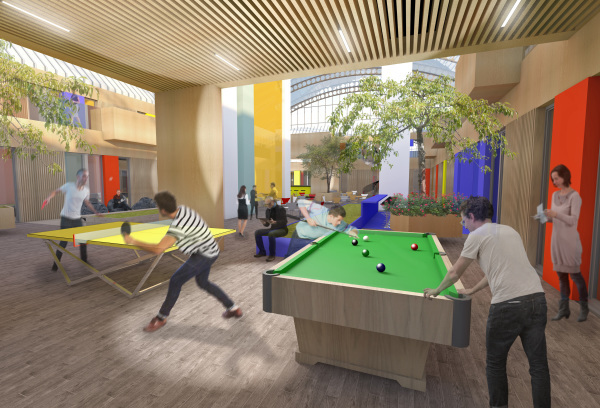 All of the office accommodation in the Civic centre was re-ordered into clearly defined departments, some with hot desking provision along with new social space. 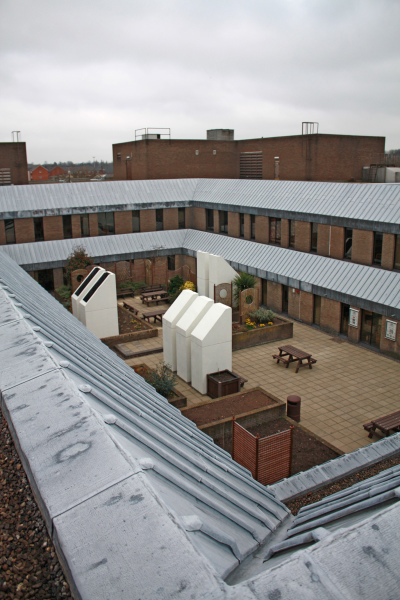 As part of the study it was proposed that the existing external roof terraces were enclosed by a new glazed roof. 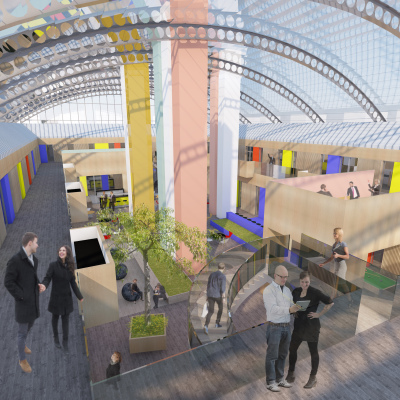 The newly created atrium was to provide a flexible working environment. Existing service were to rise through the proposed roof, doubling up as ventilation stacks. The scheme incorporated informal and formal workspaces providing an adaptable office environment. ‘Break out’ and social space were also proposed. The re-ordering of the office space was implemented within a rolling programme. 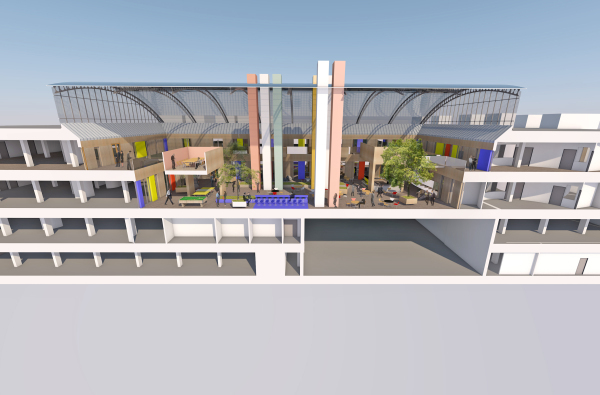 The proposed atrium space was not built.